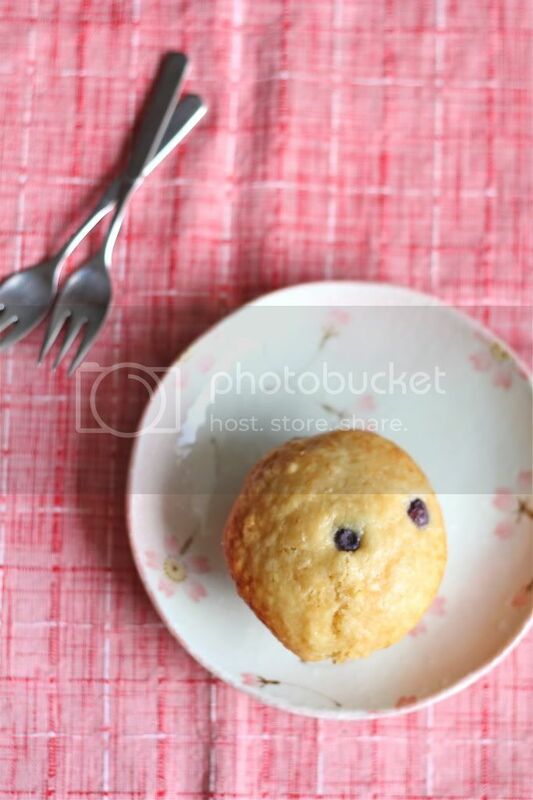 Crumbs and Cookies: joanne chang's blueberry muffins. The recipe for the perfect muffin has always remained elusive to me. I want a muffin not just superior in taste, but also have that big crunchy top we all covet. At least, I've made my life a bit easier by not specifying the type of muffin top that I like. 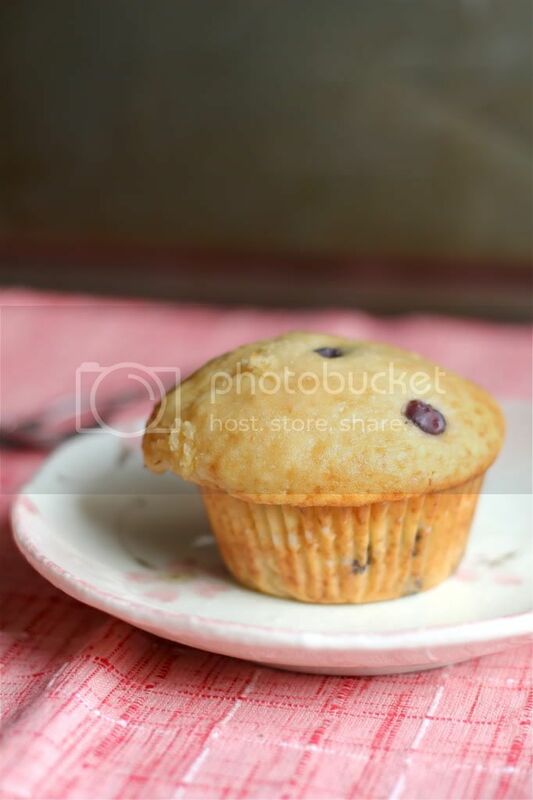 Muffins can rise two ways- mostly upwards, almost like a mountain, and upwards and sideways, so that they look more like gently sloping hills. As long the top is crunchy, I have no complaints. But I don't want the crunch to come from sprinklings of coarse sugar before baking or streusels, I want the natural crust muffins develop from baking. I've had the Flour Bakery cookbook for almost a year now, yet it did not occur to me to try the muffin recipes inside. It wasn't until a search on the internet for the best muffin recipe which led to the exact same recipe in the book that I decided to try it out. I like the fact that the recipe produced muffins with mushrooming tops, the up and outwards kind, but it wasn't the ideal recipe yet. Perhaps it was due to my substitution of ingredients. I swapped the melted butter for oil and cut down on the sugar. Also, instead of 1 cup each of whole milk and sour cream, I used an equal amount of buttermilk. I've always felt that butter will dominate over the delicate flavour of buttermilk and 1 1/3 cups of sugar for 12 muffins seemed overly excessive. hindsight, I should have kept that same amount of sugar. Even though its only for 12 muffins, each of those muffins are huge! When I quartered the recipe, I filled the muffin holes to the brim to get 3 so the same amount of batter could easily have yielded 4 slightly larger than regular muffins. 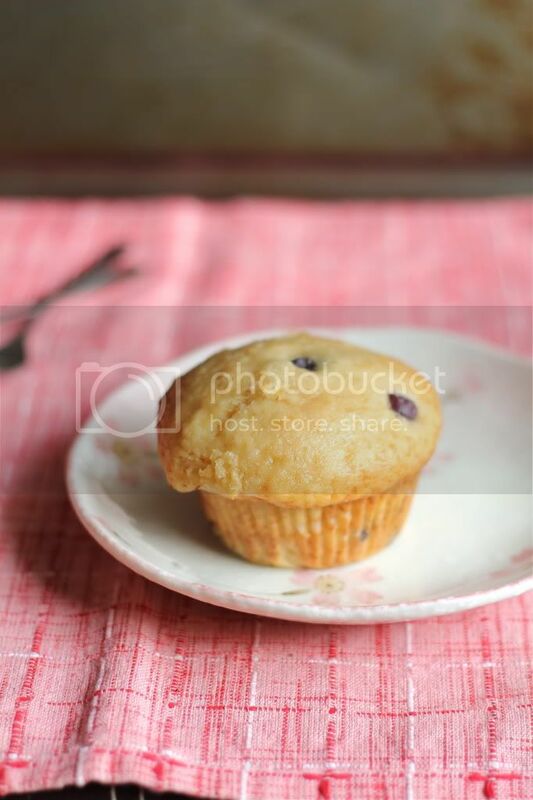 In the end, because I reduced the sugar, I felt that the muffins were not sweet enough. As I used oil instead of melted butter, I could taste the buttermilk in the muffins. But I realized that I wasn't looking for the slight tanginess in my perfect muffin. I would prefer a bit of egginess and perhaps a bit of butteriness too. I would definitely give this recipe another shot and swap only half the melted butter for oil. I was mostly disappointed with the non-crusty tops the muffins ended up with. Even the other two muffins I managed to brown had sad soft crusts. I'm not very sure why this happened. Not enough sugar? From the use of oil instead of butter? Anyone knows? These muffins are lighter than most muffin recipes but are still a little dense, especially after cooling. I'm eyeing this other recipe which looks rather promising. I think I'll give that one a try too. Preheat oven to 350F. Prepare a 12-hole muffin tin. Sift the flour, baking powder, baking soda and salt into a large bowl. In another bowl, combine the eggs, sugar, melted butter, milk and sour cream. Add the wet mixture to the dry and mix until just combined. The batter should be lumpy. Fold in the blueberries. Beautiful muffin! I love that crunchy top! I really did like blueberry muffins. My girls did love them. I was looking for a softer muffin. I'll definitely try your recipe.